Please view the information below the booking form for FAQs including a description of the different sessions available, address details and contact info should you have further questions. What is Ignite Your Spirit (IYS) therapy? We are meant to blaze like the sun with energy, vitality, enthusiasm and good health. Our thoughts, beliefs, attitudes and experiences, not to mention the stress of families, mortgages, work and deadlines, create clouds within us that can obscure our brilliance and which can contribute to ill-health. Ignite Your Spirit Therapy reveals your radiant spirit, disperses the clouds, and sets us free to be who we really are, shining with an inner lustre, spark and joy. Even long-term problems can be diminished or alleviated by the removal of stale old energy held within our physical, mental and energetic subtle bodies. The personal sessions will specifically be about spiritual activation and inner illumination, for those seeking guidance in their spiritual life as to how they can progress with the most ease and grace. Sessions are one hour in duration, with the first 30 minutes being preparation through healing meditation or mantra as directed by Shakti Durga and managed by her assistant. Having prepared for 30 minutes through specific mantra or meditation practice, Shakti Durga will then join you to assist you into the space of Divine activation through which you can receive spiritual guidance. For most people the result will be bliss, and an appreciation of the Divine and an inner experience of the Divine light. Sessions are for individuals or for two people/couples. Individuals please book using the form below. For couples bookings please call 0490 762 190 or email healings@shaktidurga.com to reserve your place. Group sessions of up to 4 people in the Archangelic Temple at the Abode of Peace. They are 90 minutes in duration. The first 15minutes is preparation directed by 2 Earth Angels. 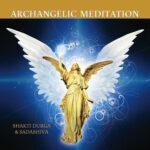 Shakti Durga will then join you into the space of Divine activations through which you can receive spiritual guidance. Energy healing is extremely effective via distance, and Skype a great means of connecting if you can attend in person. Please indicate on the booking form your preference and Skype address. This group healing process is called Laya Yoga. Laya means dissolving and yoga means union. Through the group process, we dissolve what is energetically holding us back, including old patters of conscious and unconscious blocks held deep within. As the energy starts to flow, new inspiration and a whole new set of possibilities are birthed. The process is conducted in groups of around 10-12 people. Each person will receive intuitive feedback and blessing. Often these sessions are completely life changing. Group Healings, Laya Yoga sessions involve a minimum deposit of $100 to secure your place. Participants are encouraged to give generously in accordance with what feels right in their hearts. Please advise: spiritual name (if you have one), birth name, mobile number with your booking request. Please also advise if you are pregnant. Personal healings are for individuals. The availability is between the listed times. For groups of 2 or more, please call to discuss availability as a longer appointment time will be needed. Skype healings are available. Please indicate and include your Skype address at the time of booking if you wish to connect online. Venue: Radiance Centre, 261 George Street, Sydney. Shakti Durga travels to other Australian cities and overseas giving healings. Details of forthcoming trips and opportunities for healing will be listed here as and when they arise.